Malene is 25 years and comes from Bergen. She has just graduated as a primary school teacher. Studies from Bergen, and one semester in Portugal. 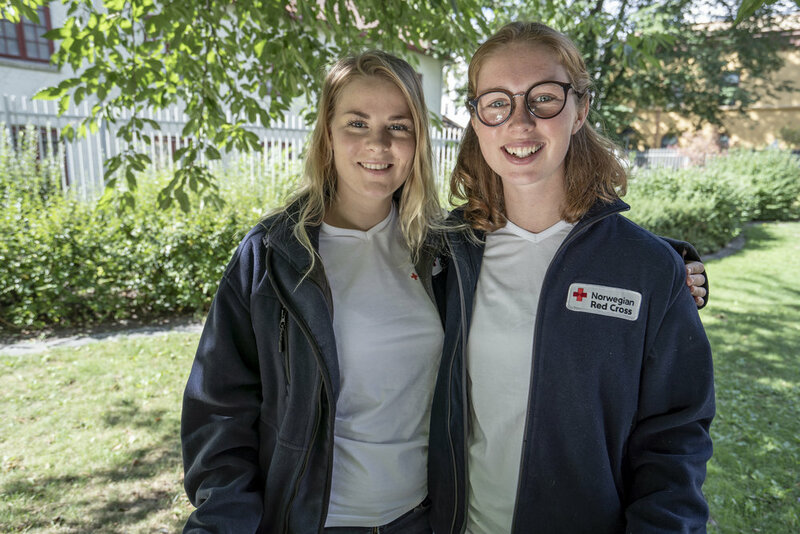 She has been a volunteer in Bergen Red Cross since 2015, working with the activity Norwegian practice. For two years she was a group leader for the activity. Malene has gained international experience from 4 different African countries through studies and internships. Kaia is a 23 year old girl from Oslo, Norway. She has been volunteering in Red Cross since 2013, with loneliness in school and refugees as her main areas of work. She has a bachelor's degree in nursing and has worked as a nurse at St. Olav's hospital in Trondheim for the past year. Throughout her studies, Kaia has also worked as a volunteer in several other organizations, with a main focus on organizing events for international students. In addition, she has international experience from hospitals and health centers in Nicaragua.